I know that there are only a few people in our chat from Maryland, but I'm hoping this post will inspire anyone with interest in this data (which should be all of you!) to follow suit and create your own state reports. For the last few months, I have compiled data (largely sourced from NCES and the FAFSA project website) on the state of Maryland. I initially wanted to compare per capita and household income to FAFSA completion rates. While we all know there is a disparity in completion rates between socioeconomic blocs, I've never come across a study that lists [public] high school by high school for an entire state. Like most states, Maryland is incredibly diverse when considering the socioeconomic spectrum. As a state that borders our nation's capital with a highly-educated workforce, we have some of the wealthiest counties in the US. We also have some of the poorest. Continuing, these counties are oftentimes broken up into wealthy districts and zip codes. In short, it was nearly impossible to predict the per capita and household incomes for a specific school--students who have parents that make $250k+ could be sitting next to a student with both parents unemployed. In the end, I resorted to using free and reduced lunch data to compare to FAFSA completion rates. What I found only confirmed what we all know. But, the information is now usable. Admissions counselors can now see what schools may need additional information or assistance when it comes to the financial aid process. High school administrators can see where their school ranks when compared to others in their district and across the state. 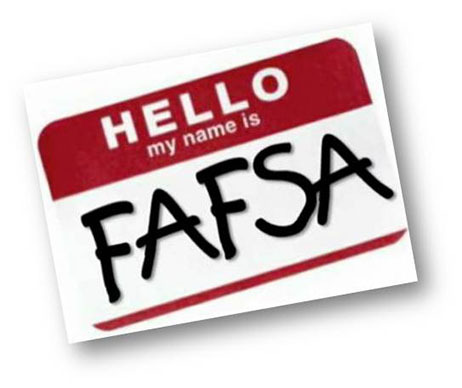 Superintendents can target specific schools that may need additional programming and information sessions encouraging families to fill out the FAFSA. Organizations that focus on promoting college access can reach out to struggling schools. I believe this is only the beginning, but I believe it is a strong step in the right direction, focused on fostering collaboration between all sectors of education. Please check out the data and let me know your feedback. I'm going to continue refining it (especially when the June 2013 data is released), and hope to create a report that I will be able to present to my state BOE. The most telling sheet is the fourth--just check out how the red (less than 50% completion) begins to change to white as you scroll down.